Creating a brand is an important part of any business as it’s how you convey the feel and message about your company, which could be make or break. 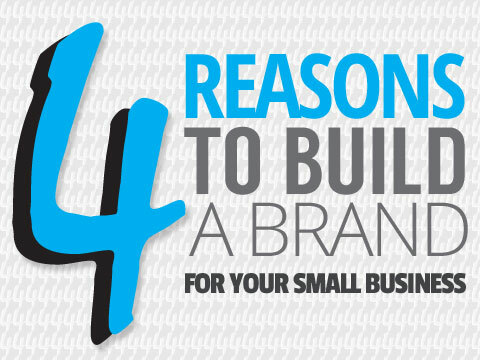 Here are some helpful tips how you should start thinking about branding for your business. Having Visual Branding influences people’s perception of your business in the way they feel when they see your brand, whether they perceive your brand being fun, authoritative, cutting edge, modern or playful. So visually think how people will see your brand. People can also connect with your business branding through the colour scheme choices used on your logo and throughout your website and other marketing materials. Typeface choice and size are also ways for people to connect with your brand and build brand. Take Apple for example, when you see Apple on TV, the font and size of the font tells you straight away its apple aside from the power of their brand logo. You want to retain and be remembered by potential customers when they hit your website or view your logo or other materials. So, with your existing customer’s, having a strong brand can add an extra level professionalism and trust in your ability to support them. For new customers, people will see this slightly differently as they won’t have yet worked with you, but people can quite quickly gauge the overall feel of the brand which can either make them commit or not. Having a brand will allow you to more effectively engage with your audience through social media and other ways such as printed materials. Ways to achieve this would be to ensure you create a hashtag for your business which will be consistent in every post you publish, so for Eadetech Web Design, we have #eadetech on every post on Facebook and twitter, which gives consistency and promotes the brand name. This will help people remember the brand if they see this in every post and with printed materials you can also put the hashtag which people would know then to search for that online. Everyone serious about business, will be focused on getting a logo designed and getting a website, business stationery and marketing their business, but are they doing it in the right way? You can do all these things with a logo, website etc, but doing these things with the right brand visual identity will give you an edge over your competition and people will likely feel more confident to work with your business.